+ How do I get into the building? The ticket barcode can be opened with one tap in the upper right corner of the app by clicking on the QR Code icon. Once you click the QR Code icon you will be prompted to login if you are not already. Once logged in, present your phone to the gate attendant to be scanned in. Give the app time to load the ticket. If the problem persists, see one of our Wolves Assist personnel at Target Center. Contact the Timberwolves App support team if you’re not at the arena by filling out the form at the bottom of this page. + Do I need a Flash Seats account? Yes, in order to see or purchase tickets you must have a Flash Seats account. Login to your Flash Seats account by opening the Timberwolves App and navigating to Tickets. + What if my phone or device is dead, can I still get into Target Center? You can still use a valid I.D. or Credit Card associated with the Flash Seats account. + Can I use my Flash Seats App? Yes, but you can only be logged into Flash Seats on one app per device. If you are logged into Flash Seats on the Timberwolves App you will automatically logged out on your Flash Seats app, and vice versa. + Where can I find my mobile member badge? Once logged in on the Timberwolves App, click on the QR Code icon in the upper right of the app to display your Member Badge and Ticket QR Code. Once you click the QR Code icon you will be prompted to login if you are not already. Once logged in, present your phone to an attendant to be scanned in, or to receive access to Member benefits. + Where do I show my member badge? In the Team Store to receive your 25% member discount on Timberwolves merchandise. At the Jack Links skyway store for access to utilize your member discount. At the member skyway entrance to gain early entry to all home 2017-18 Timberwolves games. + Where can I access my Court Cash? Court Cash is easily accessible from the Arena (Home) tab by clicking on the Wolves Wallet button. From there you can view your Court Cash balance, transfer Court Cash, and use your Court Cash QR Code to make purchases at Target Center vendor locations. + How do I get Court Cash? Court Cash is only provided to Timberwolves season ticket members. To start each season an allotment of Court Cash is sent to each member’s Wolves Wallet. The amount of Court Cash allotted is reflective of the member’s tenure with the team. + Can I purchase merchandise through the app? Yes, you may purchase merchandise from the app via the online Timberwolves Team Store, and have it shipped to you. + I ordered apparel through the app, can I pick my order up at Target Center? No, merchandise purchased through the app must be shipped to you through the online Timberwolves Team Store. If you want merchandise immediately, please find one of our merchandise stands in Target Center by navigating to the Arena tab > Merchandise > Browse Stands. Login to your Flash Seats account by navigating to Tickets > Manage My Tickets. To login, use your Flash Seats credentials. To transfer your tickets navigate to the Tickets tab > Manage My Tickets, select the game you'd like to transfer and tap transfer to initiate the transfer process. If you have issues transferring your tickets please call 612.673.1234. More information on selling your tickets coming soon! For immediate assistance please call 612.673.1234. Navigate to the Tickets tab, click on Buy Game Tickets from Team, select your game and choose your seats! Once purchase process has completed navigate back to Manage My Tickets. If you don’t see your tickets populate in the app, please reach out to Wolves Assist at 612.673.1234. Navigate to the Tickets tab, click on Buy Game Tickets from a Fan, select your game and choose your seats! Once purchase process has completed navigate back to Manage My Tickets. + How do I access my profile information? Navigate to the More tab in the main navigation, and click My Information. From there you can fill out any personal information, location information, and upload a profile photo! + What is Pack Perks? Pack Perks provide Wolves season ticket members access to special events and unique in-game experiences all year long. The list of Pack Perks include postgame free throws, VIP access to pregame shootaround, a chance to have your photo taken at center court, pregame happy hours, seat upgrades, and more. As a Timberwolves member, you can access Pack Perks now via your mobile app, located under the arena tab. Pack Perks can be purchased with a credit card or Court Cash, delivered to your Wolves Wallet before the season started. + What can I purchase with Court Cash? Court Cash can be used at Target Center concession stands or on Pack Perks (only available to members). + Can I purchase experiences with Court Cash? Only Timberwolves members have access to purchase experiences through Pack Perks. To utilize your Court Cash while purchasing any Pack Perk select Court Cash as payment method at check-out. + How do I transfer my Pack Perks purchase? Timberwolves Members can transfer Pack Perk experiences after they purchase. To transfer your Pack Perk select My Orders under the Pack Perks tab, select the item you would like to transfer. On the bottom of the item’s page, you can Transfer to a Friend. Enter the email that you would like to transfer to and click Transfer. + I can't find any items in Pack Perks. Pack Perks are visible to all Timberwolves app users but only purchasable by members. If you can’t see the any items under Pack Perks try uninstalling and reinstalling the app. If you are still having trouble please contact the Wolves at 612-673-1234. Tap Parking & Directions from the Arena tab for interactive directions to Target Center from your location. If you are having issues with the interactive directions, please search for 600 First Avenue North, Minneapolis, MN 55403 in your preferred maps application. More information on Parking Locations coming soon! Acquire your FREE roundtrip pass for each Saturday and Sunday home Timberwolves games with Metro Transit by taking a quick 2 question survey. You can take the survey by selecting the game date from Timberwolves.com/metrotransit. For more information on Metro Transit including transportation schedules and routes download the Metro Transit app. More information around Uber integration with Timberwolves games coming soon! For more information on Uber availability and pricing download the Uber app. + How do I contact Guest Services? Navigate to the Arena tab and click Fan Assistance. To report a spill or any other arena issues, please use the Text (During Game) option. Wolves Assist is our all-new in-arena customer service team aimed at enhancing guest experience with immediate access to team members ready to help you navigate the App, the newly renovated Target Center or anything else you may need on game night. Look for team members with Wolves Assist t-shirts or click the Fan Assistance button from the Arena tab for in-arena fan assistance. + What is Wolves Wallet? The Wolves Wallet serves as an option of payment and stores Court Cash. Under the Wolves Wallet tab you can purchase concessions at a Target Center concession stand or transfer your Court Cash to a friend. + Can I use my credit card? You must use your Court Cash first, and after a balance of zero, you can enter your credit card from the Payment Methods tab under More. + What is Court Cash? Court Cash is a form of currency provided to Timberwolves members. To start each season an allotment of Court Cash is sent to each member’s Wolves Wallet. The amount of Court Cash allotted is reflective of the member’s tenure with the team. Court Cash can be used at Target Center concession stands or on Pack Perks (only available to members). If you are not a member, there are many features available to you as an app user including team stats, arena information, and the ability to manage your tickets. Court Cash can be transferred to non-members which can be utilize at Target Center concession stands. Pack Perks are only available to non-members if they are transferred from a Wolves member. 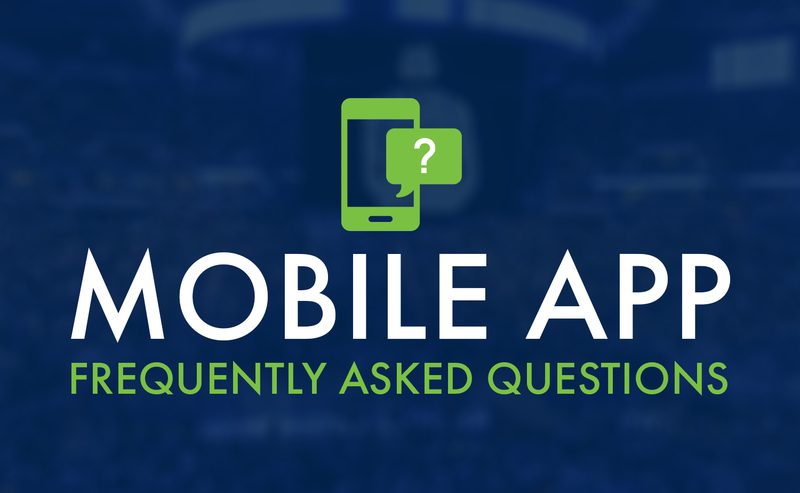 + How do I get push notifications from the Timberwolves App? Push notifications from the Timberwolves Mobile App are turned on by default. If you wish to change this, go to your phone's app settings menu and select the Minnesota Timberwolves app from the list. You can adjust the notification settings in this menu. If you disable push notifications, you may miss important information and special app-only offers. We Want Your Feedback on the New App. Your feedback is important to us, and we want to ensure you are provided you with the best service possible. Fill out the form below and let us know what you think about the new app.